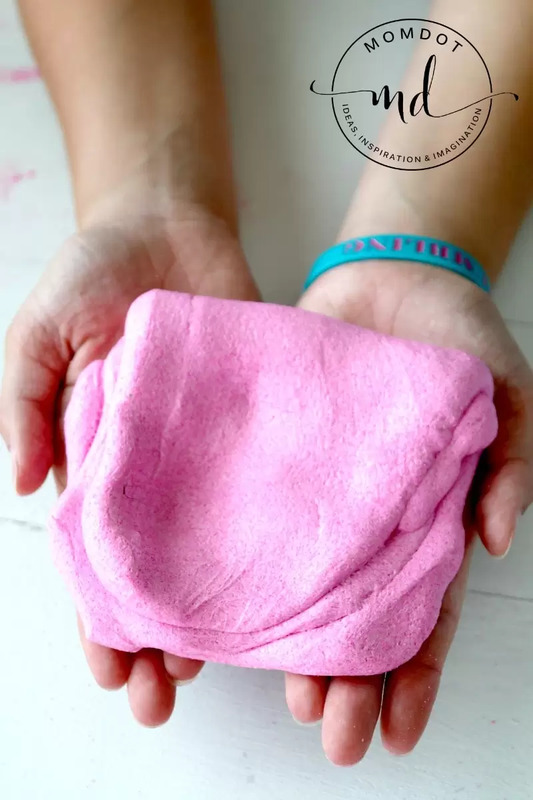 Kinetic Slime Recipe that holds shapes, Kinetic Slime DIY , a perfect slime for cookie cutters, use over and over for tons of fun! Now that Summer is out, Charlotte and I are back in the craft room hoping to provide you with some new ideas that take your sensory and slime play to a whole new level. 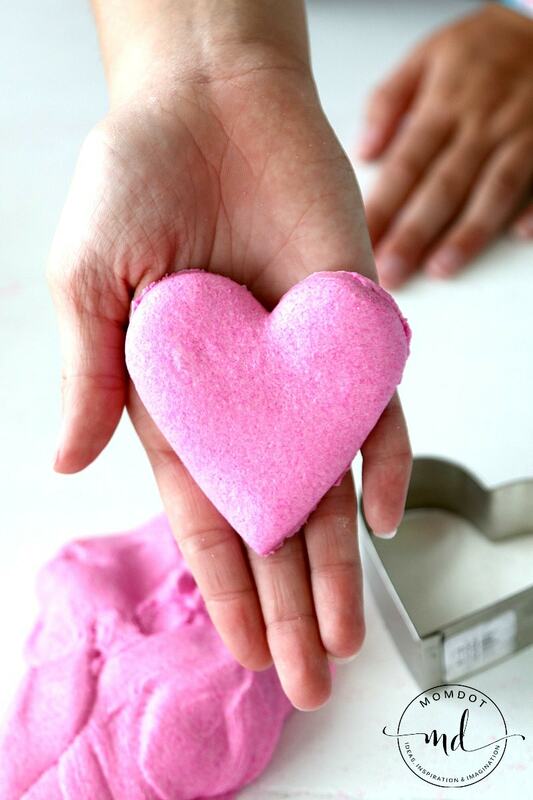 We love to experiment on how to make slime because isn’t that what crafting is about? Today we wanted to see if we could take our sticky sand slime and turn it into more of a kinetic slime that could hold long term shapes but still go back together as slime for more play. I think we had a success making our kinetic slime and here is what we did. Before you get started, its good to be prepared! I hate getting through part of a slime recipe or craft and realize I am missing something. I personally order all my craft supplies online because they tend to be cheaper and I can sit back and wait for things to arrive in a day or too. Plus, you don’t burn gas and you don’t have to drag the kids around- win win. Just like a diy kinetic sand recipe, we first took about 1 cup of sand. Second, add about 1 spoonful of cornstarch to your sand and stir until combined. Now add about 1 spoonful of soap and stir. You are halfway there! Now that you have your sand and cornstarch mixture done, its time to add the slime. Most slime recipes, ours included, are very easy to make but giving you measurements can be a bit tricky. IN general, 1 cup of white glue and about 1/3rd cup starch works well, adding additional starch and kneading until absorbed. In this case, we did exactly that, adding additional starch as you can see in the video. NOTE: The sand will give you plenty of hardness, so you do not need to over add starch. If you do, you will be left with a hard rock of sand. Once your glue and starch is added, try kneading it for a bit prior to adding more. Once your mixture is done, you can use cookie cutters or play dough cutters to make shapes! Sometimes it really helps to SEE something being made, so check out this video Charlotte made showing how we created the recipe and then what it does when you use it! Enjoy! Love this slime? 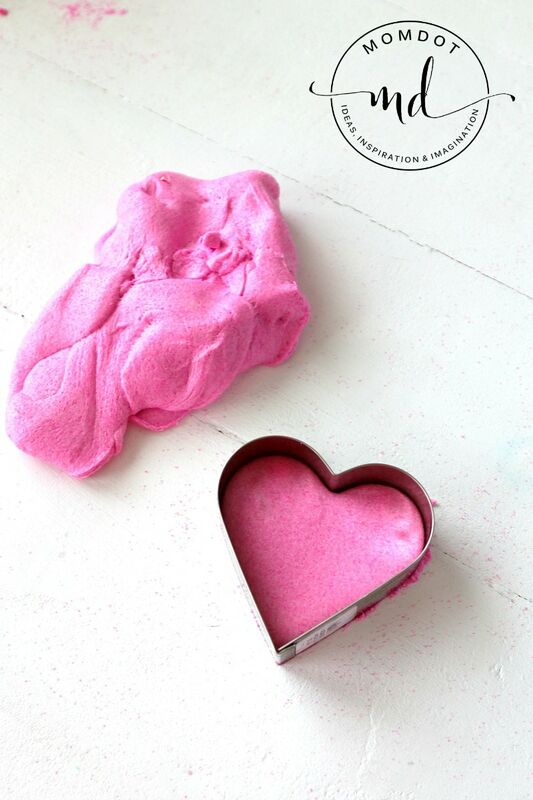 See all my amazing slime recipes and get inspired HERE. « The Cabbage Soup Diet (Dolly Parton Diet); Does it really work? I have attempted your sand slime….With mixed results. What would really help would be the amounts of the particular ingredient….for example 1 cup sand , 1/2 cup cornstarch, etc. One of my batches turned out okay with some tweaking… but when I tried to half a batch- – – bleh.